AWARDS AND RECOGNITION: Honorable Mention in the Biography category for the 2013 Georgia Author of the Year Awards. The powerful interconnections of poet Denise Levertov’s life and work. 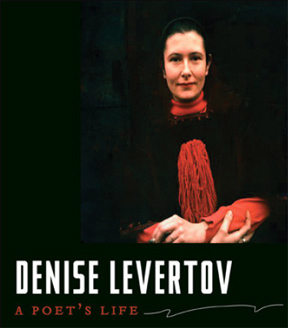 Kenneth Rexroth called Denise Levertov (1923–1997) “the most subtly skillful poet of her generation, the most profound, . . . and the most moving.” Author of twenty-four volumes of poetry, four books of essays, and several translations, Levertov became a lauded and honored poet. Born in England, she published her first book of poems at age twenty-three, but it was not until she married and came to the United States in 1948 that she found her poetic voice, helped by the likes of William Carlos Williams, Robert Duncan, and Robert Creeley. 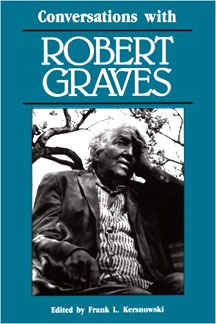 Shortly before her death in 1997, the woman who claimed no country as home was nominated to be America’s poet laureate. 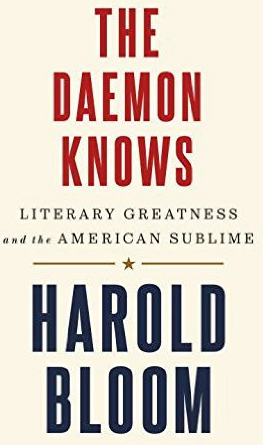 Harold Bloom is 84 and a little under the weather. He is one of Yale’s more famous professors (where he’s been teaching for 60 years) and the author of dozens of books (including an anthology for “Extremely ­Intelligent Children”), many of them best sellers, many of them fascinating and enlightening, some of them infuriating or confusing (if you are not up on your Gnostic texts or the Kabbalah), and all of them written in his unmistakable voice — imperious, sympathetic, melancholy, intimate, playful, and brilliant in both depth and breadth. Long before we were friends, and in an academic pool in which I don’t so much as dip a toe, he was also a major pot-stirrer. I gather that the admiration he expresses for many women poets, for many gay poets (“Three out of four poets in America are gay or bisexual,” he says. “More than half of all the great poets are”), for James Baldwin and Ralph Ellison (“A great friend, a magnificent writer, his Invisible Man is a novel as powerful as Magic Mountain”), for the poets Jay Wright and Thylias Moss, for writers as contemporary as Don DeLillo, Carl Phillips, and Henri Cole, didn’t count for much with the opposition when he wrote The Western Canon in 1994. He was seen as a forceful, unpleasantly old-fashioned defender of the Canon As Was. As he says, he was described as someone who partook of a cult of personality or self-obsession rather than of the “special vision” of critics focused on issues of gender, color, and power — and Lacanians and deconstructionists. 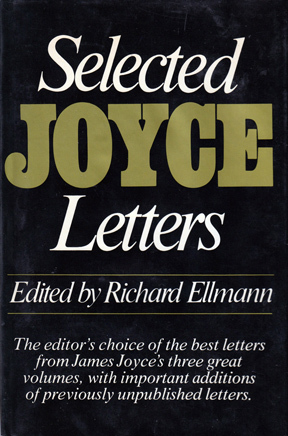 He coined the catchy phrase “School of Resentment” (“I think, really, they resent difficult poetry and aesthetic splendor”), and he made a lot of people understandably angry, some of whom are angry still. One need only look at the canon of quiet champions behind creative icons to be reminded of how deeply and lastingly a young person setting out on a creative path can be touched by a simple word of encouragement from one of his or her heroes – one of the “spiritual and mental ancestors” we choose for ourselves, which are essential to our identity. Would Whitman be Whitman without Emerson’s generous letter? Would Sendak be Sendak without Ursula Nordstrom’s unflinching support? Would Bukowski have remained a mere postal worker without the patron who helped him quit his soul-sucking day job to be come a full-time writer? Would young Hermann Hesse have sunk into resignation without Thomas Mann’s deeply assuring letters? 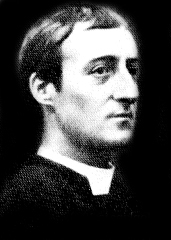 Born at Stratford, Essex, England, on July 28, 1844, Gerard Manley Hopkins is regarded as one the Victorian era’s greatest poets. He was raised in a prosperous and artistic family. He attended Balliol College, Oxford, in 1863, where he studied Classics. In 1864, Hopkins first read John Henry Newman’s Apologia pro via sua, which discussed the author’s reasons for converting to Catholicism. Two years later, Newman himself received Hopkins into the Roman Catholic Church. Hopkins soon decided to become a priest himself, and in 1867 he entered a Jesuit novitiate near London. At that time, he vowed to “write no more…unless it were by the wish of my superiors.” Hopkins burnt all of the poetry he had written to date and would not write poems again until 1875. He spent nine years in training at various Jesuit houses throughout England. He was ordained in 1877 and for the next seven years carried his duties teaching and preaching in London, Oxford, Liverpool, Glasgow, and Stonyhurst. 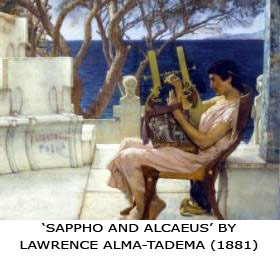 Much of what we think we know about Sappho is apocryphal, conjecture, invented, or wrong, maybe even her name. (Sappho calls herself Psappho.) Yet somehow we feel we know her, that she is speaking directly to us across chasms of time, language, geography, and alphabets. And this is only from one, perhaps two, complete poems and a smattering of fragments from the nine-scroll corpus known in antiquity. What we can reasonably say is that she was born on the island of Lesbos and flourished around 600 b.c., that she composed in the Aeolic dialect, that she probably had a daughter named Cleis—and thus, by deduction, a mother named Cleis, since (then as now) Greeks named grandchildren after their grandparents. She was a musician as well as a poet—her poems should properly be regarded as lyrics—and she was considered by the ancients to be the inventor of the plectrum—roughly, a guitar pick—and the Mixolydian mode. (It’s as if she invented the blues note.) 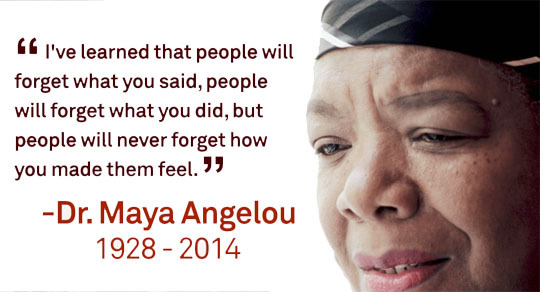 Her poems are often addressed longingly to young women. A very early reminder that we’ll be discussing the poetry of R.S. Thomas on Thursday, September 24. The session will be led by Susan Koppersmith, but please bring your own favourite Thomas poem, and post it ahead of time on the blog via the “Comments” link or the “Contact Us” page. A final reminder that we will be reading and discussing our own favourite poems this Thursday, July 23. See the SCHEDULE PAGE for featured poems. Beekeeping, Belfast and Buddhism: books of lectures by Harry Clifton, Paula Meehan and Michael Longley cast the net wide. The Ireland Chair of Poetry is a solemn, formal, academic institution. The poets who hold it, however, tend to be anything but. 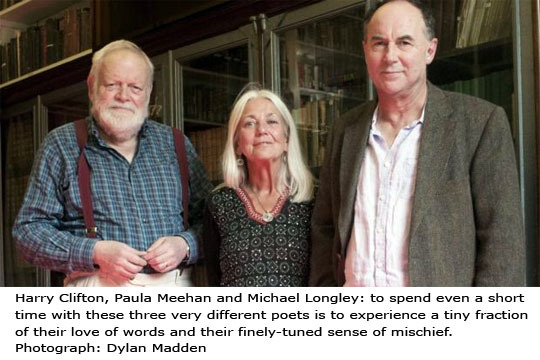 Gather the three most recent Ireland Professors of Poetry around a table for a conversation – the incumbent, Paula Meehan; her predecessor, Harry Clifton; and the 2007-2010 chair holder, Michael Longley – and you’ll find yourself dancing across an anarchic range of topics punctuated by recitations, jokes, snatches of song, back-and-forth banter and moments of sudden, striking profundity. The occasion for this gathering at the Royal Irish Academy in Dublin is the publication of the first book in a new series called The Poet’s Chair. The slim hardback, One Wide Expanse, has been beautifully produced by UCD Press and contains Longley’s three formal lectures. It will be followed, later this year and early in 2016, by those of Clifton and Meehan. The publisher of the Beats talks about Ginsberg the showman, the Albert hall ‘happening’ and how one of his own poets emptied the City Lights till. Breast the brow of Stockton Street in North Beach, San Francisco, and the bay opens up before you, framed by the cream-white clapboard buildings that predominate in this old Italian neighbourhood. The island of Alcatraz prison is visible just across the water. 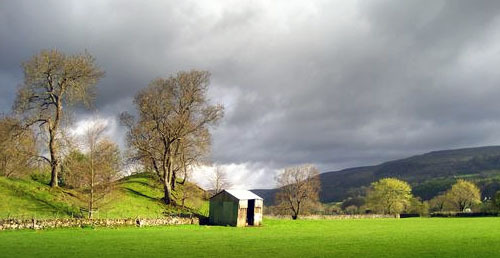 Turn right and in a few hundred yards, on a corner, is an unprepossessing three-storey house. Press the middle bell and be prepared to wait. The occupant is old: 96. 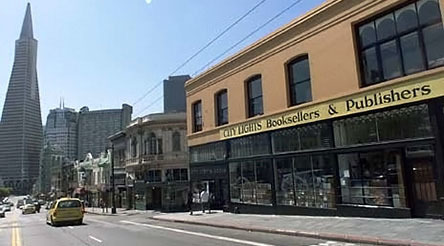 A slow footfall, and there he stands, still erect and tall: Lawrence Ferlinghetti, publisher to the Beats, poet laureate to his home town. He directs me upstairs to the kitchen of his second floor apartment, past a scrappy unframed poster of Vladimir Mayakovsky taped roughly to the wall. “It’s a real Italian building,” he says. “The kitchen is the entire width of the house.” Ferlinghetti has lived here, on his own, for more than 30 years. I’m here to talk to him about a confluence of significant events: the 60th anniversary of the company he founded, City Lights, publishers of a celebrated poetry list that includes Allen Ginsberg’s “Howl” and an extensive range of titles in radical politics and offbeat fiction; the appearance later this year of a collection of his correspondence with Ginsberg, and a compilation of his own travel writings; and another anniversary, that of the International Poetry Incarnation, held in the Albert Hall in London 50 years ago this summer. There, followed by Beat poets Ginsberg and Gregory Corso, he read to an audience of 7,000 at an event billed as Britain’s first “happening”.